SAN DIEGO, CA, June 29, 2017 – Regional business association Cleantech San Diego celebrates its 10-year anniversary this week. The organization was founded in 2007 by leaders from the private, public, and academic sectors who recognized a growing cleantech industry as the next great economic opportunity for the San Diego region. The San Diego region currently ranks #4 in the nation for cleantech leadership. San Diego is ranked #1 the nation for solar installations. A recent study commissioned by Cleantech San Diego finds there are more than 3,000 cleantech businesses in the San Diego region, creating 38,000 jobs with an economic impact of $6.8 billion. For comparison, when Cleantech San Diego conducted a similar study 10 years ago, only 125 cleantech businesses were identified in the region. This growth is also reflected in the makeup of Cleantech San Diego’s membership, which includes more than 115 businesses, universities, governments, and nonprofits committed to advancing sustainable solutions for benefit of the economy and the environment. “Since Cleantech San Diego’s founding ten years ago, the San Diego region has shown incredible flexibility in the face of an ever-evolving industry and continues to prove itself as a strong leader in the cleantech economy and smart cities movement,” said Cleantech San Diego Chair Jeff Schwartz, Senior Vice President and Senior Relationship Manager in Global Commercial Banking at Bank of America Merrill Lynch. Together with its members, Cleantech San Diego has spearheaded a number of projects and initiatives over the years that have helped solidify the region’s position as a global leader in the cleantech economy and will support its growth for years to come. Cleantech San Diego is engaging the startup community to help secure the future of the region’s cleantech economy. In 2016, Cleantech San Diego was awarded a grant from the California Energy Commission to help energy entrepreneurs bring their innovations to market with support from nine regional partners through the new San Diego Regional Energy Innovation Network. This program is transforming the San Diego region’s ability to foster cleantech innovators with breakthrough technologies that benefit California ratepayers. Only a few months in, the program already has interest from more than 50 energy entrepreneurs and is helping the first 12 accepted companies to accelerate their technology development. Cleantech San Diego’s K-12 Schools Sustainability Strategy Collaborative was formed in response to the California Clean Energy Jobs Act (Proposition 39) to fund energy efficiency upgrades at schools. To help San Diego schools gain maximum benefit from these funds, Cleantech San Diego and SDG&E organized the program to expedite the process and foster the sharing of energy efficiency and clean energy best practices between San Diego’s 45 school districts. To date, San Diego is among the top funded counties in California with $94 million approved for energy efficiency projects at 391 schools, second only to Los Angeles county, which has more than double the number of school districts. Launched in 2011, Cleantech San Diego’s Smart Cities San Diego initiative has gained significant traction in recent years by facilitating the deployment of new technologies that are saving energy, water, and money at landmark locations like the City of San Diego, the Port of San Diego, the City of Chula Vista, the San Diego International Airport, the City of Solana Beach, and at PETCO Park. These high-profile cleantech deployments have advanced the San Diego region’s position as a global smart city leader, brought increased attention to the region as a test bed for cleantech business solutions, and attracted business from large technology companies such as Qualcomm, GE, AT&T, Black & Veatch, CH2M, and Itron. As part of its smart cities efforts, Cleantech San Diego also focuses on advancing the integration of electric vehicle (EV) charging infrastructure across the region. The San Diego region is currently home to nearly 25,000 electric vehicles and 1,144 public charging stations at 412 locations and last year San Diego hosted the world’s largest electric vehicle test drive event during Nation Drive Electric Week. Cleantech San Diego’s newest electric vehicle initiative, EVer Forward, is an informational website and video that promotes the fun and benefits of an EV lifestyle in San Diego with the goal of educating drivers about their options and getting more San Diegans behind the wheel of of an EV. Under the San Diego Regional Streetlight Working Group, 75,000 LED streetlight retrofits were deployed across San Diego County that resulted in 30 million kWh in annual energy savings, 12,700 metric tons of carbon dioxide eliminated, $30 million in economic development, and $4 million in annual taxpayer savings. In addition, this also included installation of 3,000 LED street lights were installed in downtown San Diego with adaptive controls in downtown San Diego – one of the first deployments of this technology in the country. This early pilot has since led to the larger smart street lighting project announced earlier this year by the City of San Diego in partnership with Current powered by GE, AT&T, and Intel. This next deployment of 14,000 energy efficient streetlight retrofits and 3,200 smart sensors will be the world’s largest city-based Internet of Things platform using streetlights. 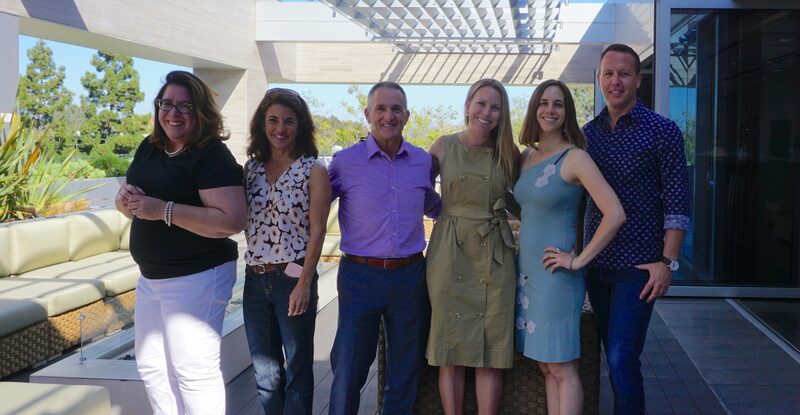 Cleantech San Diego marked its 10th anniversary with a celebration for members, founders, and community supporters on June 28 at Latham & Watkins law firm in Del Mar. The event was held exactly 10 years from the date a news release was issued announcing the organization’s formation in 2007. Mayor Kevin Faulconer and Assemblymember Todd Gloria both presented proclamations commemorating the occasion and Mayor Faulconer proclaimed June 28, 2017, to be Cleantech San Diego Day in the City of San Diego. Cleantech San Diego is a member-based trade organization that positions the greater San Diego region, including Imperial County, as a global leader in the cleantech economy. As a nonprofit organization, Cleantech San Diego is uniquely suited to support the cleantech industry by fostering collaborations across the private-public-academic landscape, leading advocacy efforts to promote cleantech priorities, and encouraging investment in the San Diego region. Cleantech San Diego’s membership includes more than 100 local businesses, universities, governments, and nonprofits committed to advancing sustainable solutions for the benefit of the economy and the environment. Learn more at cleantechsandiego.org.